THE JEWEL IS IN HEAVEN. 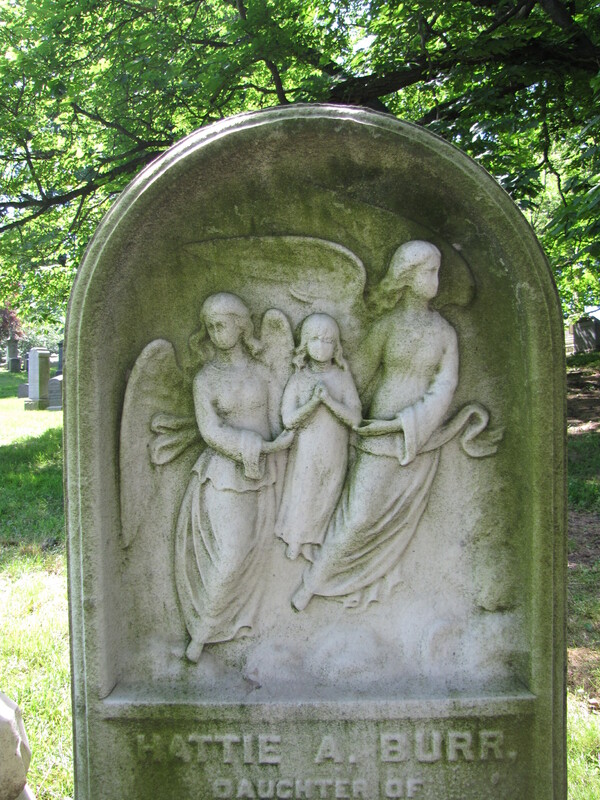 Even though the soft white marble monument has suffered from erosion and many of the features of the three figures have been obliterated, it is still obvious the image represents two angels aloft transporting a tiny young soul to Heaven. 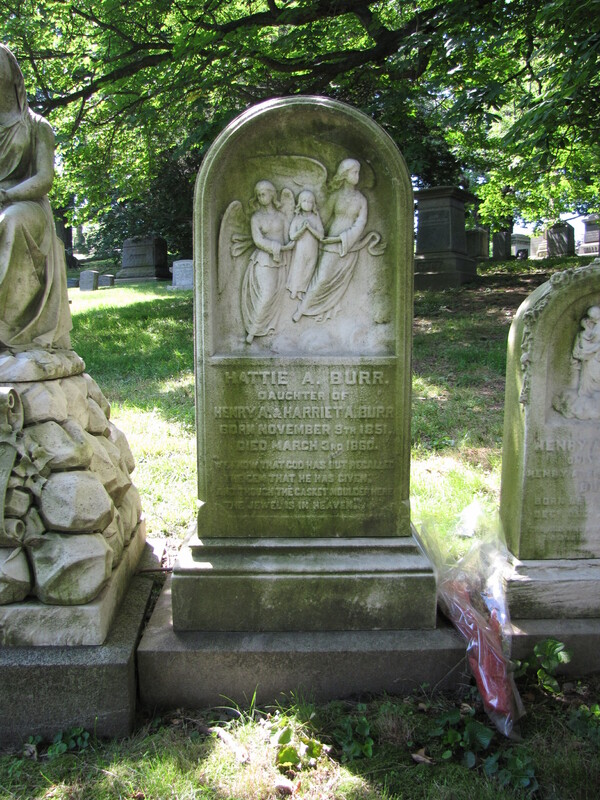 The little eight-year old daughter and namesake of Harriet Burr and her husband Henry Burr was buried in the Green-Wood Cemetery at Brooklyn, New York. This entry was posted in Children's Graves, Uncategorized. Bookmark the permalink.